Reloading Gear Giveaway by CRT!!! Get Signed up!!!! The following contest is sponsored by Custom Reloading Tools. 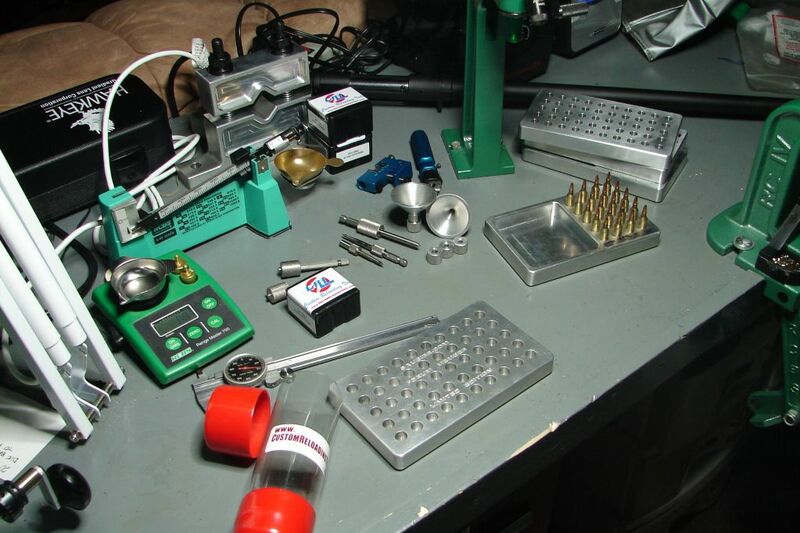 Custom Reloading Tools is giving away $200 worth of their products to one lucky Small Caliber Club forum member. The winner will be able to pick any of the products that Custom Reloading Tools manufacturers for a total value of $200. This contest is open to all new and existing active forum members. All you need to do is simply post up a Thank You below and you will be entered in the contest. The drawing is open from January 7th 2013 thru February 28th 2013. On March 1st 2013 all entries will be placed into a hat and a winner will be drawn. Re: Reloading Gear Giveaway by CRT!!! Get Signed up!!!! Thank you so much Brad. I absolutely love the CRT line up of accessories for the reloader. As you know I placed another order and will be placing more in the future. They are simply the very best made bar none. Anyone who has used them would whole heartedly agree to that. Thanks for offering the contest. Just hope I win. Thanks Brad, Now get your rear out here this spring and shoot some Ground Squirrels!! Thanks CRT, for making me broke. I really hope someone else wins this stuff! I absolutely love my CRT's, and wish someone who doesn't have them to experience the love. Thank you Brad and CRT. Being new to the small calibers, they made me feel welcome and at ease. I'm on this site thanks to Brad.